Winter seems to get longer and longer each year. Now that it’s finally time to emerge from our hibernation, why not upgrade your outdoor space so you can truly savor every bit of summer? 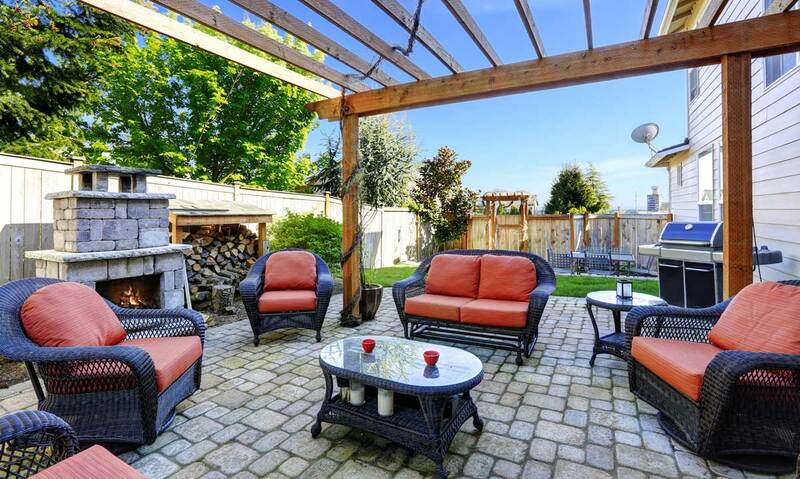 Here are five ideas to consider when building a backyard getaway. Add a fire pit: If you have the space to build or purchase a fire pit, it can add warmth and ambiance on cool, late spring and summer evenings. If a pit isn’t an option, add lots of bright candles or light fixtures to achieve a similar effect. Throw down a throw rug: Rugs can add a fun pop of color to what can be a drab outdoor environment. Cover bland stone or brick work with a brightly colored outdoor rug to add personality. Curate a gallery: If you have a fence around your property, don’t forget to incorporate it into your plan. Much like you would treat the walls in your home, dress up the fence with durable artwork, such as metalwork and ceramics. Bring the inside, outside: Create spaces that mimic the homey feel of a living room or dining room. Select furniture with cushions, arrange the seats in a similar layout to your living room, or dress your outdoor table to the nines with a tablecloth and summery place settings. Create the “man cave”: Dedicate space for a grill and mini-bar. By centralizing all the functions needed to host a dinner party, the chef won’t feel excluded from the activity. Also, by offering two separate areas for entertaining, you encourage your guests to mix and mingle.